Dogs must be at least four months-old and must wear current dog license and identification tags. Additionally, dogs must take a once a month flea and tick program and have proof of DHLPP, Bordetella and Rabies vaccinations. Basic manners training is required for puppies and newly adopted dogs. Ask about training for your pup. How large are the groups you walk? The groups will be limited to 6 – and no more than 8 – dogs per walk to ensure proper attention is given to each dog and comply with city and National Park Services’ regulations. 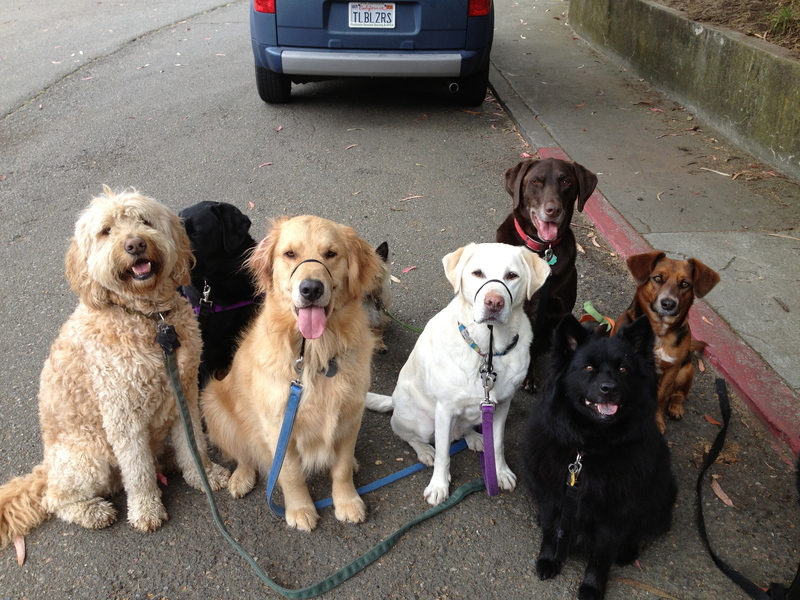 Do dogs have to be off-leash or well-trained to walk with the pack? No. I can handle the dogs on or off leash. Getting exercise is a primary goal, so I will keep them moving whether they are on- or off-leash. It is preferable if your dog has had previous training before joining, as I can help further their training. My dog is a bit aggressive. What are my options? 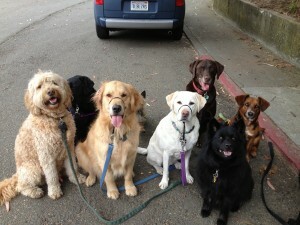 Tailblazers offers private walks for those that don’t do well around other dogs. My goal is to keep every dog safe while we are walking. To do so, aggressive dogs may not walk with the rest of the pack. Instead, they get their attention, love and exercise on private walks. What about older dogs and puppies? Older dogs and puppies over the age of five months are more than welcome to join our adventures. They need to have all of their shots up to date, and we will discuss their exercise needs, restrictions or health considerations prior to adding them to the pack. What if the dogs get in a fight? The walks and dog temperaments are tailored to fit within certain groups, so this is not likely to happen. However, if such a case should occur, I will take all the necessary steps to control the situation and secure the safety of the dogs involved. What if my dog is injured on a walk? I will immediately examine the dog and treat any minor injuries on the spot. I carry a First Aid kit in the car at all times and realize a lot of minor scrapes/bruises happen in the every day life of being a dog. I will then notify you of any injuries. As well, upon setting up an agreement together, we would have an emergency plan in place if a serious injury were to occur. Is Tailblazers licensed and insured? Yes, Tailblazers is licensed through the city of San Francisco, permitted through Animal Care and Control, and is insured through CNA Insurance Company. What if it is rainy or stormy outside? All walks will be conducted no matter what the weather is. I ask that you have towels out at your home so I can clean up your pooch before letting them in. If during our walks the weather becomes severe (heavy rain that impairs vision, thunder, lightning, high winds, hail, extreme heat) or otherwise dangerous, we reserve the right to shorten the walk for our safety and the safety of your dog(s). Your dog(s) will have the opportunity to relieve themselves outdoors. Do I have to be home when you get my dog? No, that is not necessary. You can either give Tailblazers a copy of your key or leave one in a safe, convenient area. Remember, Tailblazers is an insured business that you can trust and rely on. Cash and checks are the primary methods of payment. Pay Pal is also accepted with a 4 percent fee of the total amount. All payments are due on the first of the month. Late payments will incur a 10 percent late fee. Cancellation of part-time walks and in-home visits requires 48-hour notice; pet boarding cancellations require 14 days’ advance notice. No refunds can be given for failure to cancel on these terms. There is also a $25 returned check fee. When terminating services, we require 30 days’ notice, or a full month’s fee will apply. As a small business, we rely on this courtesy to fill vacant spots. Absolutely. Contact us now at (650) 339-5109, or just ask when we meet in person. Get a head start and see Tailblazers rave reviews on Yelp!